An SNP MP has said she had to sign a non-disclosure agreement (NDA) after being bullied in a previous job. 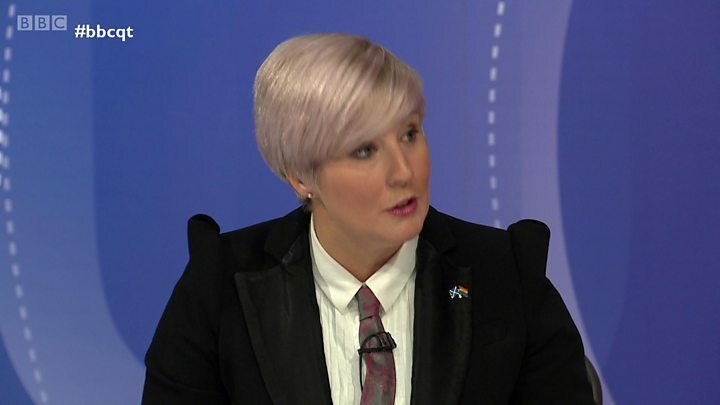 Hannah Bardell told the BBC's Question Time programme that it had happened "not that long" before she was elected to the House of Commons in 2015. Ms Bardell said NDAs had originally been used to stop people who changed jobs taking confidential commercial data with them to a rival firm. But she said they were now being abused in order to keep bullied staff quiet. Ms Bardell was responding to a question from a member of the audience, who asked whether the wealthy should be able to use non-disclosure agreements as a "cloak of invisibility". The question was a reference to Lord Hain naming Sir Philip Green as the businessman the Daily Telegraph has accused of sexual and racial harassment - allegations which the retail tycoon has "categorically and wholly" denied. The newspaper has claimed that victims were paid "substantial sums" in return for legal commitments not to discuss their alleged experiences. 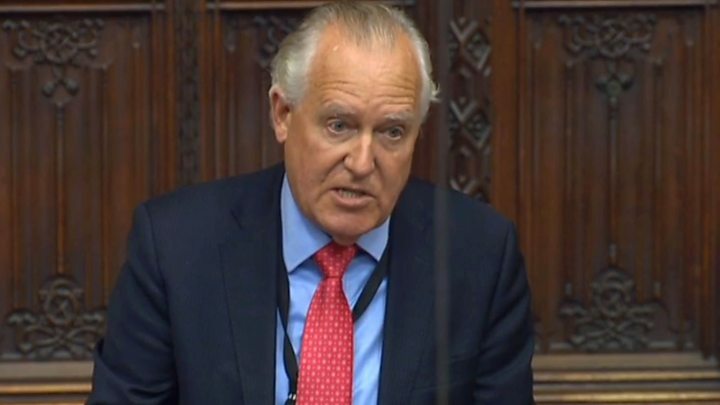 A court injunction prevented the Daily Telegraph from identifying Sir Philip, but Lord Hain used parliamentary privilege to name him in the Lords. The BBC has not been able to verify the allegations contained in the Telegraph's report. Media captionLord Hain told the House of Lords that the details were "clearly in the public interest"
What did Ms Bardell say? The Livingston MP said she had worked in business before entering parliament, and had been "put in a very difficult position after being bullied and harassed that I had to sign an NDA". But she said she was unable to say whether she had been paid any money in return for signing the agreement, and could not go into the specifics of the case in detail. Ms Bardell, who was employed in the oil and gas industry before becoming an MP, added: "It's something I've never spoken about, but given I've got a voice I feel I should use it. I know a lot of other people who were treated inappropriately. "I can't go too much into it, but I was being bullied and I was put in a very difficult position where I thought I was going to be pushed out of the door and be unemployed. "It was a choice between taking a case to court or having to leave without a job. It was not long before I stood for election. "I know lots of people who have been bullied, I know legal firms in the City who use these and they abuse them."